01.12.10, originally uploaded by elizabethlmccoy. 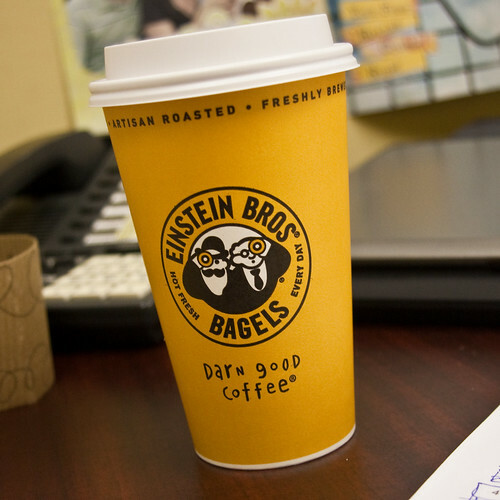 "01.12.10 - So I became a fan of Einsteins Bagels on Facebook and got a coupon for a free bagel and shmear. And this morning I took advantage of the yummy deal and picked up a coffee too! YUM "